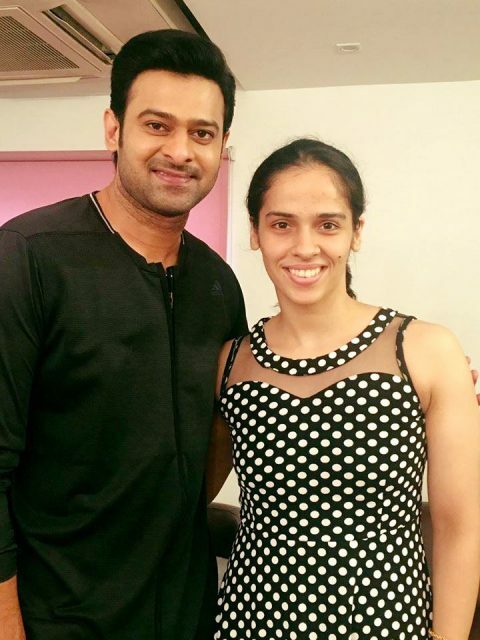 Saina Nehwal met Prabhas on the sets of his film ‘Saaho’. Are you a fan of the charismatic and much-loved Prabhas? If yes then get ready to rejoice as we have some awesome news in store for you. As it so happens, a recent pic of the star is creating a buzz on the social media and that too for all the right reasons. In it, the Telugu superstar can be seen alongside badminton star Saina Nehwal. The 27-year-old visited Prabhas in Hyderabad while he was shooting for ‘Saaho. We are sure, the lady must have enjoyed meeting T-town’s ‘Rebel’ to the fullest. In case you did not know, ‘Saaho’ is touted to an action-thriller and is being directed by Sujeeth. In it, Prabhas is paired opposite Bollywood diva Shraddha Kapoor and will be seen in a brand new avatar. The rest of the cast includes names such as Neil Nitin Mukesh, Jackie Shroff and Chunky Pandey. If all goes as planned, ‘Saaho’ will hit screens in 2018. On a related note, recently, it was rumoured that Prabhas would get engaged to Anushka pretty soon. And, as expected, this created a buzz amongst fans. However, the star had rubbished these rumours and made it clear that he is not dating his ‘Billa’ co-star. So, are you looking forward to ‘Saaho’? Let us know in the section below. Are you a fan of??? Ha ha ha ha ha ha. How many times?? Won’t be surprised if Prbhas falls for Shraddha, be careful Anushka, Shraddha has a golden heart and the beauty of a goddes. 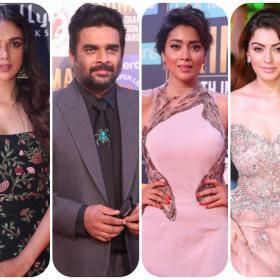 Her inner and outer beauty along with her talent and kindness are her genuine weapons to become one of the most beloved actresses in India and the world. Best of luck Shraddha and Prabhas. What a lovely new jodi!! By the way, Prabjas sir seems to be a great and humble man. Yes I agree with you. Prabhas and Shraddha will look good together than Prabhas and that aunty Anushka. Won’t be surprised if Prabhas falls for Shraddha, be careful Anushka, Shraddha is very good at this , her fake giggles and shyness is her weapon to attract men..